Casual Runners know that while running is a part of our lives, it is not our entire lives. Better yet, as Casual Running allows us to be healthier and live more active lifestyles, it allows us to experience new and wonderful adventures. In this special series, we will look at fun Casual Adventures that our Team takes on when we are away from our training, even if its only for a day or two! And remember, adventure is out there! While Florida is one of the top tourist destinations in the United States on its own, the central Florida region is also a top runcation destination, offering tons of great race options. When Casual Runners are looking to get the most bang for their bucks on their runcations, they are in search of fun adventures to cram into their schedules. 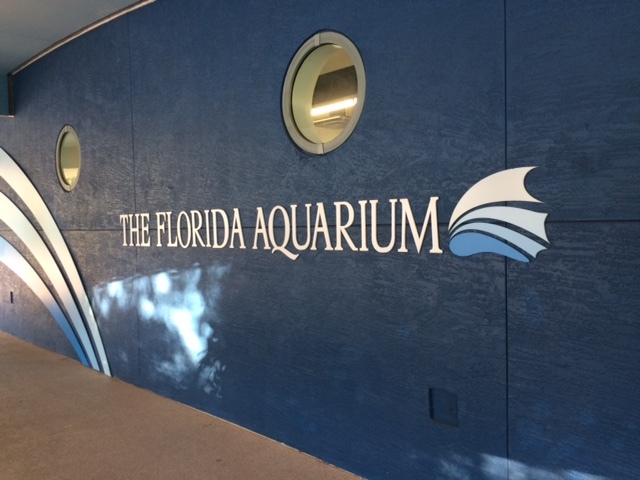 We recently had the opportunity to tour one of Tampa’s top tourist attractions, the Florida Aquarium, and share our thoughts in case readers are considering putting this stop on their vacation to-do list. The Florida Aquarium is located in the heart of the Tampa Riverwalk, which, you can imagine, is along the river in downtown Tampa, Florida. This is a tourist/business/commerce area that city leaders and urban planners developed to take advantage of downtown’s proximity to the waterfront. You can walk or ride your bike along the river, passing the cruise ship terminal, the arena (home of the Tampa Bay Lightning), hotels, and convention center, plus a selection of restaurants and bars. It is definitely a highlight of the city. The Aquarium’s downtown location is a huge draw, and is easy to get to via Uber or, if you drive yourself, it has its own parking lot right next door, so parking is simple. The day we visited we just so happened to catch a cruise ship getting ready to set sail. Not going to lie, we had some serious cases of FOMO watching the passengers depart for their vacation! Tickets are required for admission, but you do not need to buy them in advance. There are some discounts available, but you will have to check to see if you are eligible for them (based on residency, time of year, etc.). Additionally, you may be able to get a combination deal that also gets your admission to other top Tampa attractions. So, while a little research may be warranted, you do not necessarily need to buy your tickets in advance. 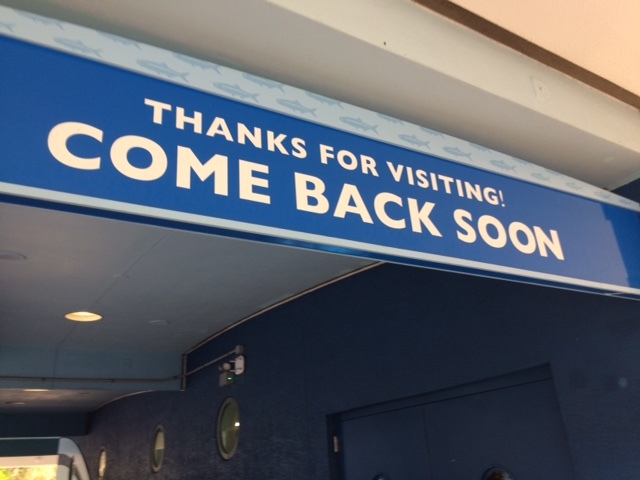 However, if you do want to want to check out some of the special add-on adventures, such as the Swim with the Fishes & Shark Swim Program or the Dive with the sharks program (requires scuba certification), you will want to reserve these in advance as they will fill up. 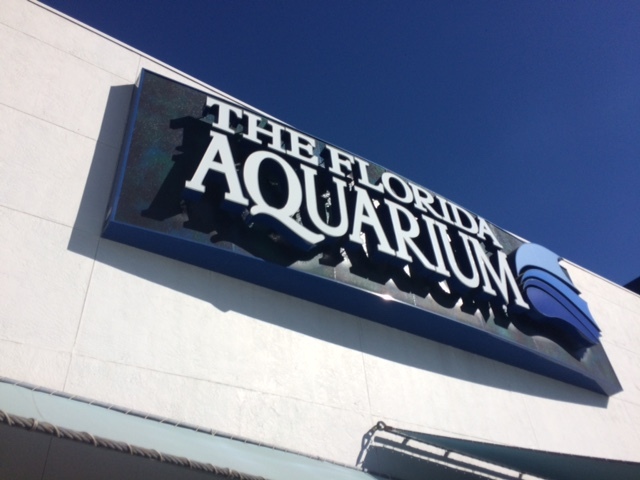 You can read all about our adventures at the Florida Aquarium now! If you plan on visiting the Aquarium, make sure you plan on setting aside at least 1-2 hours, so you will not be rushed through the exhibits. However, if you have little kids with you, you may want to plan even more time as they will no doubt be enthralled by the many interactive and entertaining exhibits. Watch our Reef Swim Video! The building itself has 2 levels, and, while we were there, they were busy expanding and improving their outdoor Splash Pad. I was surprised just how intuitively the floorplan was laid out. When we arrived we took the escalators straight to the second floor and began working our way from there. We simply followed our way from one exhibit to the next by simply following the corridors. Once we visited the entire second level, where most of the exhibits are located including the outdoor areas, we took the escalators back downstairs and finished the remaining exhibits. Watch our Shark Swim Video! 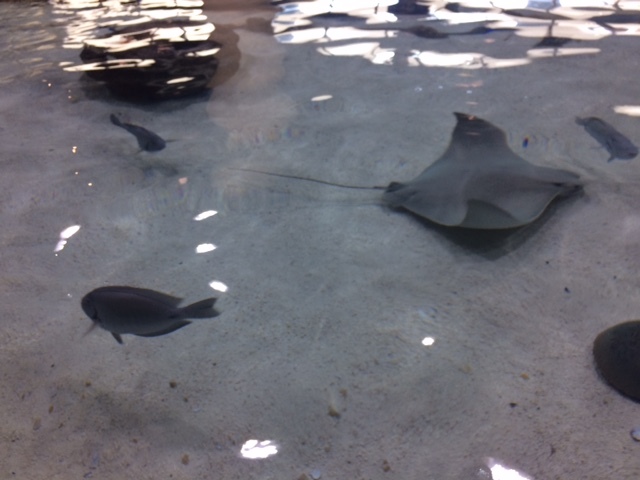 I want to dispel any notion that if you have been to one aquarium, you have been to them all. In fact, I have toured several and found that they all have their unique charm and appeal. 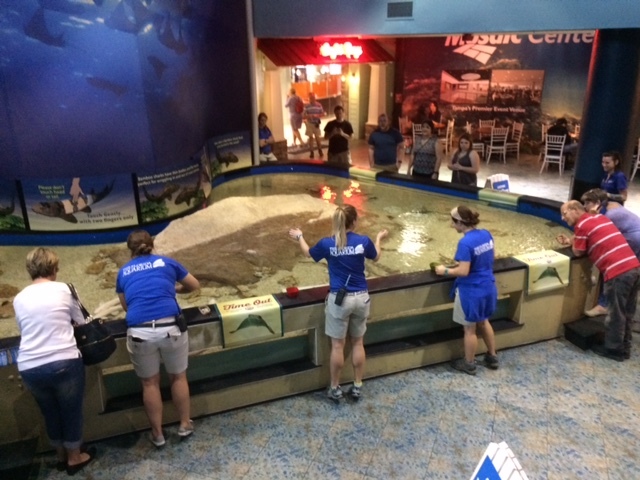 The Florida Aquarium seems to be focusing on its interactive exhibits. The numerous touch pools staffed by friendly, helpful, and knowledgeable team members were an entertaining part of our visit. 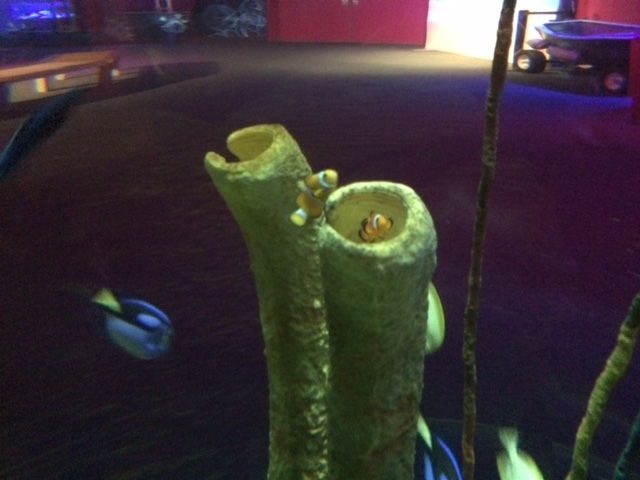 No, they are nothing like the scenes from Finding Dory, but are nonetheless entertaining, especially for younger visitors. They do scheduled shutdowns of the interactions to allow the animals to rest between exploring sessions, so, if you should come upon a pool that is closed, no worries, you can swing back later in your tour when it will likely reopen. 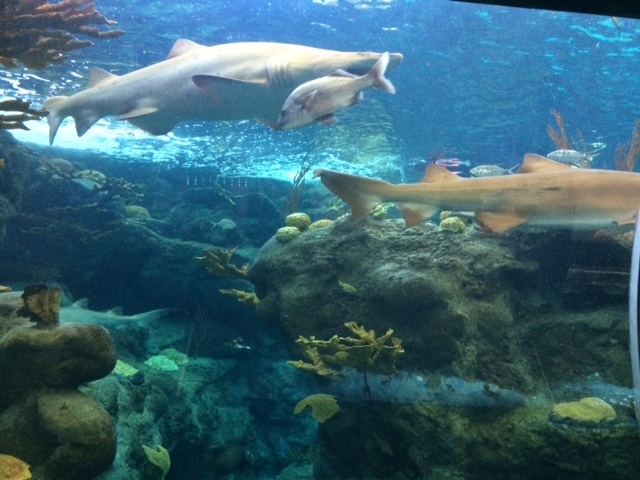 The big draw are the two main tanks: the shark tank and the reef tank. These are the very same tanks that we dove in for our adventures! 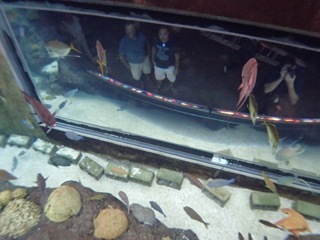 Don’t worry, even if you are not planning on jumping in the water, the large floor-to-ceiling viewing windows and tunnels will allow you to get up close and personal with these fascinating exhibits. The sharks are truly impressive, but so are the numerous fish and turtles that fill these environments with life, so do not miss them. I was pleasantly surprised by the outdoor River Tales and Pelican Point exhibits in the Wetlands Trail. I clearly came to the Florida Aquarium for the traditional tanks and underwater exhibits one would expect to find in an Aquarium of this caliber, but these were a nice compliment to the Aquarium’s offerings and made for an enjoyable diversion in their own right. Unless you have kids who will pour over every exhibit at length (and we did see some on our visit that their parents had to pull them away from the tank windows, touch pools, and exhibits), this is more likely a half day adventure. If you go in the morning, you can be wrapped up by lunchtime and have seen everything you will want to see. Likewise, you can fill a leisurely afternoon. We went on a day that was wall to wall sunshine, but I can see this being an attractive family vacation distraction on a rainy day. The biggest tip that I can offer is, if you do want to check out a backstage tour like we did, you will have to book in advance as they will fill up. Also, if you plan on visiting other Tampa area attractions (like the Lowery Park Zoo and Bush Gardens), look into combination passes that give you discounted admissions to all of the attractions. The Aquarium itself is fairly compact, but I would still recommend wearing comfortable walking shoes as you will be on your feet most of the time and you will not want to cut your time short checking out the awesome undersea environments because your feet hurt. The Florida Aquarium offers fun for the whole family on your next vacation or runcation to Central Florida. 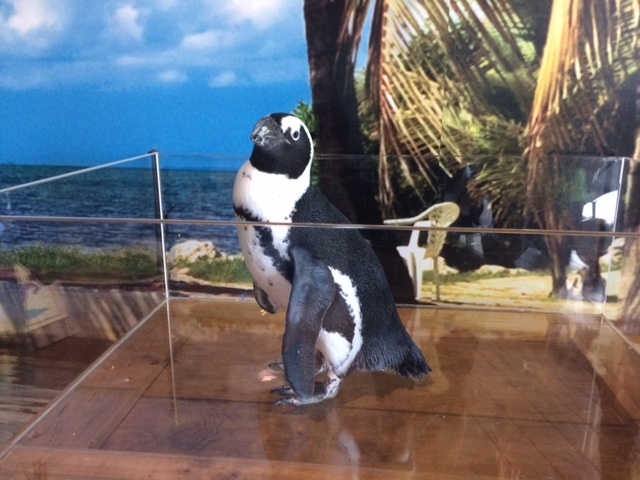 If you are going to take a break from the beach and want to explore downtown Tampa, the Aquarium will certainly give you a good excuse to do so.